Since 2004, the Zind is produced exclusively from Clos Windsbuhl grapes (2/3 Chardonnay and 1/3 Auxerrois). Back in the 80s we were really concerned about the evolution of our climate and tried to find a grape variety that would bring structure to the Auxerrois grape. The part closest to the forest being slightly cooler, we thought that these grape would achieve very well in this old calcareous Muschelkalk soil. Unfortunately, Chardonnay is not permitted for still wines in Alsace, so this wine is sold as Zind and Table wine. The grapes were very healthy in 2010 and achieved perfect ripeness. The fermentation lasted a year and ended with the wine being dry. 3/2012: these extra months on total lees really benefited the Zind 2010 as it is now really fully open. The nose shows beautiful ripe fruit flavours mixed with typical almond/nutty influence from the Chardonnay. The vines ageing, the Windsbuhl character shows more and more: the palate has this textbook acidity and elegance. 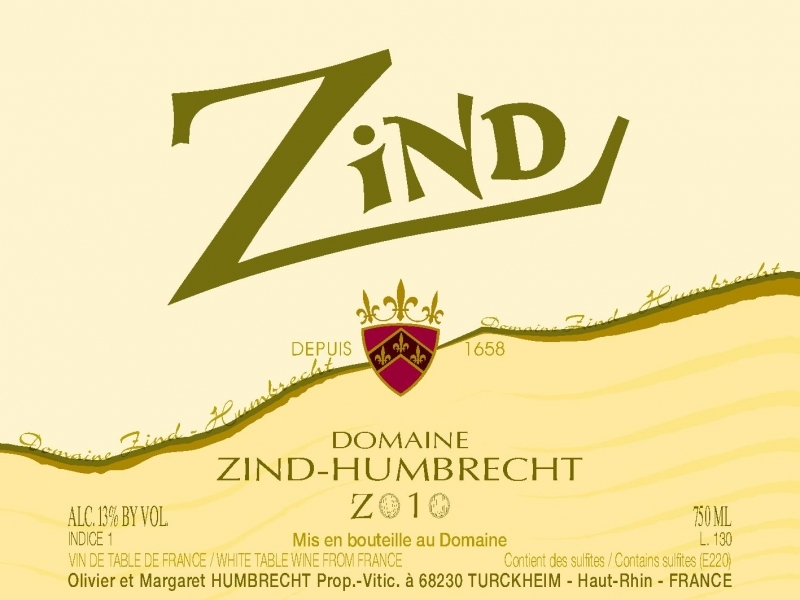 Finishing dry but not aggressive, the Zind 2010 is a true Windsbuhl wine.